The ABIAs is THE book industry’s night of nights. Be seen, hear the winners first, and mingle with others in the industry. Remember, these ticket bundles won’t be available passed midnight on Wednesday 10 April 2019. 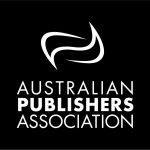 The Flash Sale offer is only available to APA members and available to each publishing member once only. The offer does not apply to table bookings.